Depending on the season or occasion, the use of freezer and fridge space is different. 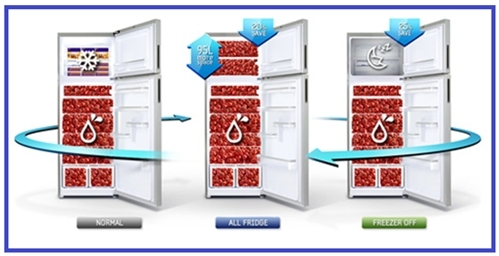 With Samsung’s new smart freezer, when you need more fridge space, you can easily convert your freezer into fridge. When you are away on vacation or when the freezer is empty, you can also simply turn it off. What is Big Box in Samsung Frost Free Refrigerator?